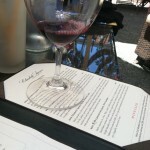 Visiting Elizabeth Spencer Tasting Room in Rutherford. 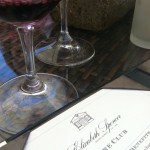 Elizabeth Spencer Wines lies in the center of the Napa Valley in Rutherford, California. 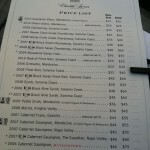 The winery produces varietal wines from select Northern California regions. The cabernet sauvignon is made from Napa Valley grapes, while the pinot noir, chardonnay, and syrah derive from fruit of the Sonoma Coast. In 2005, Elizabeth Spencer Wines produced small amounts of Mendocino Sauvignon Blanc, Napa Valley Chardonnay and Sonoma Coast Rose of Syrah. The winery is owned by husband-and-wife team Spencer Graham and Elizabeth Pressler. The winery produced its first wines from the 1998 vintage. The tasting room is located at 1165 Rutherford Road in Rutherford. Winter hours for tastings run from 10 a.m. to 4 p.m., with retail sales available until 5 p.m. The tasting room is open Sunday through Saturday. It closes at 3 p.m. Thanksgiving Day, and it is closed Christmas Day and January 3 through 5. Evening tastings, private cottage tastings, courtyard table reservations and corporate meetings may be arranged in advance by email at tastingroom@elizabethspencerwines.com or by calling (707) 963-6067. Special cottage tastings are offered by appointment at 11 a.m. and 1 p.m. These tastings provide an intensive and detailed exploration of Elizabeth Spencer wines, practices and philosophy. Tastings currently offered include Appellation, Rhone Style and Blind.